Book your FREE 30 minute strategy call with Christine now! Many of today’s business meetings and job interviews take place over dinner. Unfortunately, many business men and women damage opportunities to build relationships by fumbling awkwardly through meals. Business meals are not just about the food. It’s about relationships. Employers and potential clients can’t help but to observe the professionalism of those they are dining with. This is a great opportunity to present a polished, poised, and refined image.Too many business men and women damage their career by not knowing the rules of the table. This workshop will walk through the ten biggest blunders professionals make. Learn how to navigate any dining situation with confidence and ease while projecting a positive professional image. 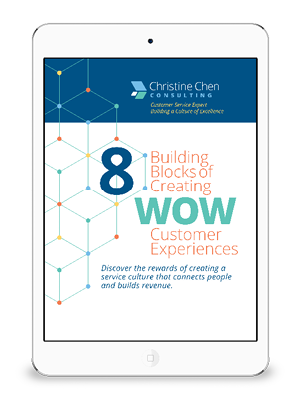 for up to date information on creating the WOW factor in your organization. Grab a FREE strategy call! It's easy to sign up for a FREE 30 minute strategy call! Follow us on social media for up to date tips and information on Christine's programs and strategies. 2016 Copyright. Christine Chen Consulting.